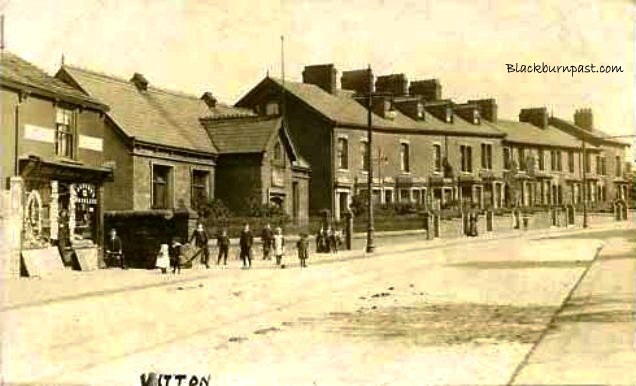 Lovely old sepia image of Witton, just a little further up than where the traffic lights are now. 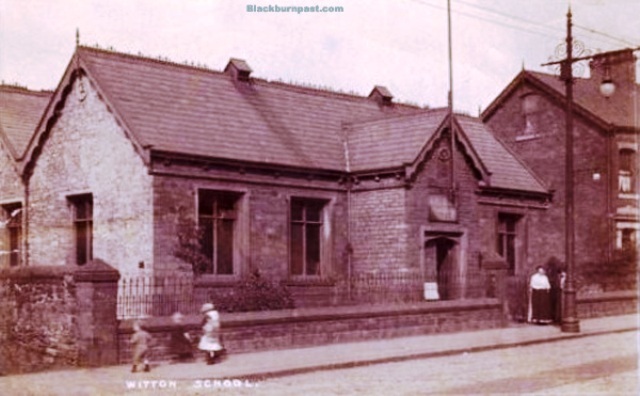 The shop to the left, is now a newsagent / general store, the little school next to it, is now someone's house and all the other houses still remain. Lower photo is a close up of the school. Photograph probably dates to circa 1900. I agree with you Colin it is a nice photo. At a guess I would place it around 1905 / 1910 on a Sunday as all the children seem to be wearing their best clothes. Did anyone spot the "Coddy Muck" the road as well as the Tram Lines ! !